The world has seen many depictions of the great Sherlock Holmes, from John Barrymore to Nicol Williamson to Robert Downey Jr. and most recently, Benedict Cumberbatch. We’ve seen him silent, we’ve seen him in his own time walking the streets of Victorian England, and we’ve seen him in our time hitching a cab ride in the city and calling Dr. Watson on his iPhone. The character has lived many lives in many eras, but in every account we’ve gotten, he’s always been in his prime. In Mr. Holmes, however, director Bill Condon shows us a side of the great Sherlock Holmes that we’ve not seen yet. In this depiction, he is not quick and sharp. Instead, he is aging and muddled, and his days are numbered. Yet, he has lucid moments in his twilight years where we witness the genius of the brilliant detective he was once upon a time. 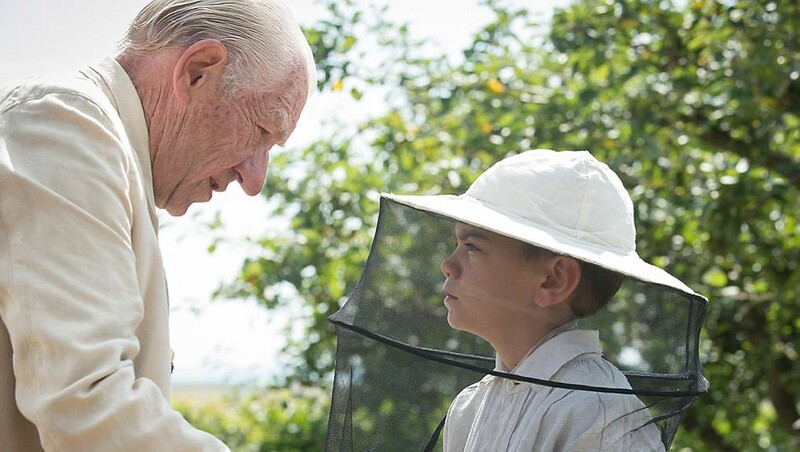 In Mr. Holmes, we meet a 93-year-old and retired Sherlock (Ian McKellen) living in the South Coast of England. Instead of occupying himself with solving cases, he’s keeping busy with tending to his bees in the countryside. It’s a solitary life, save for his dedicated housemaid, Mrs. Munro, played by Laura Linney, and her bright son, Roger, brilliantly played by Milo Parker. At first glance it seems like a peaceful life, but his decision to go into seclusion had less to do with retirement and more to do with exile. It was his last case, solved thirty years ago, which drove him to his current state and location. Unfortunately, time has taken away his memories, and so the plot of the story revolves around Holmes picking up clues to piece together in order to solve a case he already once solved. In order to overcome his weakening mind, he relies on royal jelly, prickly ash, and other medicinal ingredients to help him remember. However, it is young Roger who is his true source of inspiration and recollection. Milo’s chemistry with McKellen is captivating. Even at such a young age, he is able to hold his own with the veteran actor. Channeling Dr. Watson, Roger plays Sherlock’s right-hand man in solving the case. Both work out that there’s an estranged couple, a white glove, a glass harmonica, and a lone bee, all of which are significant pieces to the solution of the case. It’s a different pace from what we’ve seen Sherlock do before, though, and drawing out the case from the corners of his mind is tedious work. Every memory goes into his pen and onto his paper in order for him to better remember the story, his story. If you’re a fan of Cumberbatch’s Sherlock and revel in his fast-paced soliloquies and borderline sociopathic behavior, know that watching this film, you’ll get something extremely different. Regardless of the difference in approach, Ian McKellen’s portrayal of the character is refreshing. With his quiet but keen gaze, he plays the part of detective perfectly. On top of that, he is able to effortlessly transition from the lucid, quick-witted Sherlock in the flashbacks, where his younger self is solving the case for the first time, to the present, where he is feeble and only a shadow of what he used to be. Everything in his physical performance is striking, and it’s not just in his decrepit movements when playing the older Sherlock, or the use of makeup to make him look aged; it is the light in his eyes, the vibrato in his voice that makes this portrait of the man we thought we knew so intriguing and special, because it is in these small moments that we see his plight with mortality, with regret, with time. In the end, Mr. Holmes is a slow-moving film, but it’s beautiful in its movement. Bill Condon masterfully weaves the past with the present, and in conjunction with Carter Burwell’s soft but eager score, they make the unfolding of this last Sherlock case one for the books, and one that we will not soon forget.